Do you know where your money goes? How do you keep track of it? 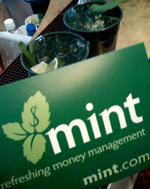 Mint just launched at TechCrunch40 to offer a free personalized online money management application. It is all about helping to save and make you money (and save you time too). 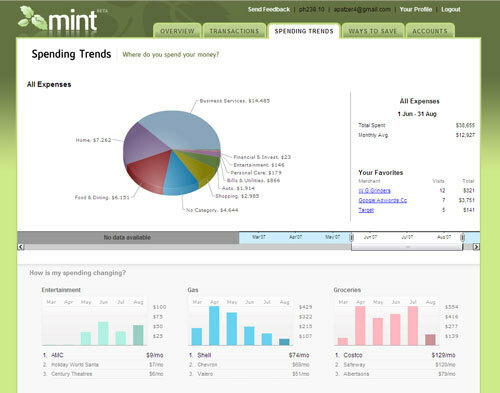 Similar to Geezeo, Mint aggregates a users banking, credit union, credit card and savings accounts into a single financial view. Mint will also soon support additional investment accounts. 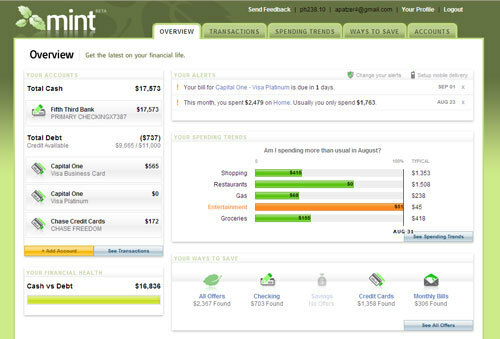 Built with Java, Mint goes beyond just pulling together financial information as it offers personalized savings recommendations based on your financial data. Mint's business model is based on making these personalized suggestions as they offer competitive banking deals that will save you money and send banks referrals. 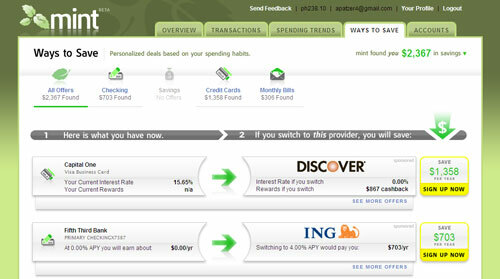 Mint also helps to minimize fees by offering up alerts and bill reminders that can be sent via email or text message. Mint has filed four patent applications for intellectual property that helps to determine where you spend your money. The hope is that you can find more money and time to enjoy more mint mojitos. Bottom-line: Mint is a free online money management application that aims to help you save money via recognizing what you spend money on and sending you personalized recommendations on how to improve those habits.